There are a lot of reasons to eat chocolate. It’s packed with antioxidants. Studies suggest that it’s good for your heart and circulation. It’s even shown to improve your mood. And it’s, you know, delicious. But there’s one downside to chocolate — it’s high in fat. And until recently, chocolate makers couldn’t produce low-fat chocolate without clogging up their machines. Now, in a new study published today in the Proceedings of National Academy of Sciences (PNAS), scientists at Temple University have finally found a way to manufacture low-fat chocolate — by bombarding liquid chocolate with electric fields. And, some of the lucky few who have gotten a taste of this new chocolate even claim that it tastes even better than the original. Chocolate typically contains up to 40% fat by volume and is composed of cocoa, sugar, milk solids, and other particles suspended in liquid fat, such as cocoa butter, the paper says. 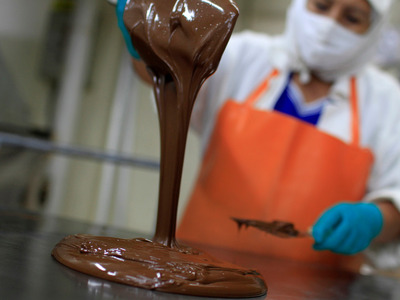 The reason it’s so tough to manufacture low-fat chocolate is that when you take out the fat, you increase the viscosity, or thickness, of the chocolate, causing it to flow very slowly and clog the pipelines of the machines producing it. But by applying an electric field parallel to the direction liquid chocolate is flowing, scientists found that they can actually change the microstructure of the particles inside the chocolate. It causes the solid cocoa particles to change shape and clump into short chains. This gives the particles more room, which decreases the chocolate’s viscosity while also reducing the amount of fat. Before this method, the lowest fat content chocolate makers were achieve was 36%. This new method will allow them to minimise the fat to as low as 28%. Scientists were able to nearly cut the viscosity of a Mars chocolate bar in half, which allowed them to reduce the fat content by more than 10%. All it requires is a high voltage power supply to generate the electric field. By changing the strength and duration of the electric field, they might even be able to improve upon these results, paving a long-sought path toward healthier chocolate, a PNAS press release says. So you’re probably thinking: There’s no way to produce guilt-free chocolate without sacrificing the taste. But according to the authors, the chocolate is actually pretty tasty. Some people even claim that it tastes better than regular chocolate, the paper says. 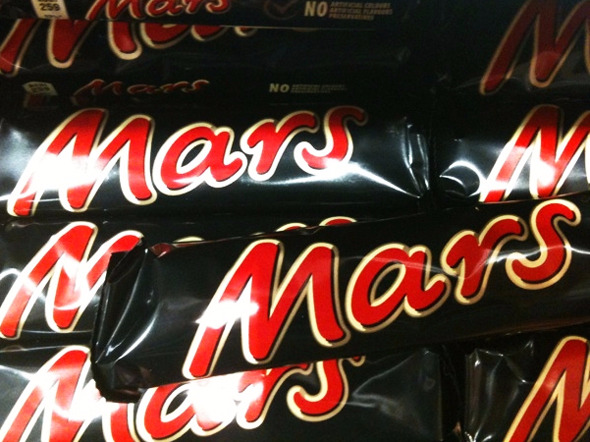 And it might not be long before this new, low-fat chocolate hits the shelves. According to Tao, the scientists hope to have a device ready within the next six months. “We are thus expecting a new class of healthier and tastier chocolate products soon,” the authors said.